Rubber extruder has superior pressure sensor control system, which makes the sheeting rubber more compact, orderly and smoother. China Huahan Rubber & Plastics Machinery CO.,LTD. 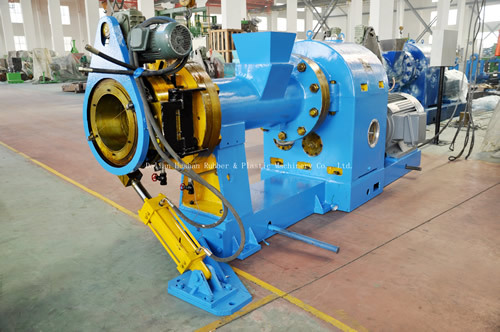 established in 1986, is the largest rubber machinery manufacturer in china, main products has: China internal mixer, China Open mill, China Dispersion kneader, Banbury mixer, Mixing mill, Rubber calender, Rotary curing machine, Rubber extruder etc.